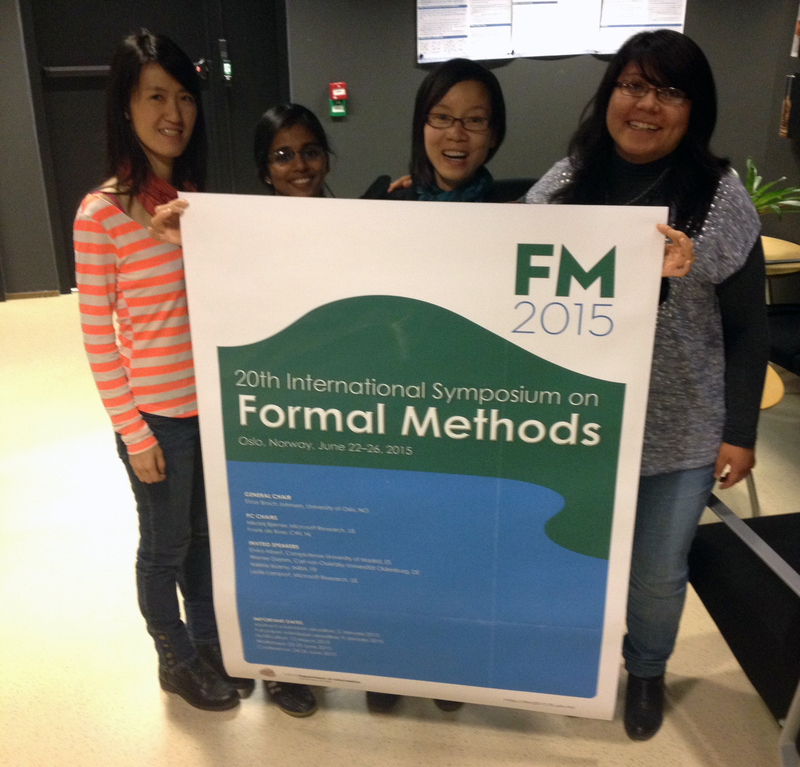 The proceedings from the Doctoral Symposium of FM2015 are now available online. The best papers awards of FM this year will be announced at the banquet on Thursday 25/06. There will be several workshops at FM 2015. There will be special issues of Acta Informatica and Formal Aspects of Computing featuring selected papers from FM 2015. The industry track of FM 2015 welcomes short papers describing industrial applications of formal methods, experience with introducing formal methods in industry, tool usage reports, experiments with challenge problems. Authors are encouraged to explain how the use of formal methods has overcome problems, led to improvements in design or provided new insights. Industry track papers should not exceed 4 pages in LNCS format; accepted papers will be included in the proceedings of FM. The CFP is now available as a pdf, ready to be downloaded and deployed on the conference scene this autumn! Remember to download it and print some copies before you go to a conference!